Knee extensor power is related to mobility in osteoarthritis. Osteoarthritis (OA) is a chronic, progressive condition characterized by a loss of articular cartilage and leads to chronic pain, disability and psychological effects in adults living with the disease. As there is no cure, researchers are concerned with identifying modifiable factors that could improve physical and psychological functioning for adults suffering with OA. The knee is the joint most commonly affected by OA and quadriceps strength is a modifiable factor that may protect against the physical decline seen in people with OA (Lopez & Murray, 1998). Declines in muscle strength are associated with the incident of knee OA (Segal et al 2009; Slemenda et al 1997), but strength may not be the most ideal measure of muscular function. Muscle power refers to the ability to generate force rapidly, and with age, muscle power declines twice as fast as muscle strength ( Skelton et al 1994). Knee OA is typically associated with older age, so power may play a more significant role than muscle strength in predicting functional abilities. Little work has been done to examine the role of muscle power in people with knee OA. The aim of this study was to examine the relative contributions of knee extensor power versus knee extensor strength to a series of functional tasks among community dwelling older adults with knee OA after accounting for age, body mass index (BMI), and self-efficacy scores. Functional tasks included the Six Minute Walk Test (6MWT), a timed stair ascent and a timed stair descent. Knee extensor strength (Nm/kg) and knee extensor power (W/kg) of the most painful knee were measured on an isokinetic dynamometer. Knee extensor power was related with mobility performance in knee OA for the 6MWT, stair ascent, and stair descent. Knee extensor strength was unrelated to the performance of stair or walking tasks. Thus, knee extensor power explained greater variance than knee extensor strength in the performance of all three tasks contributing an additional 6%, 8%, and 3% of the variance in the 6MWT, stair ascent, and stair descent tasks respectively. The relative contributions of variables varied based on the task, however BMI consistently contributed to the explained variance during all three tasks. The relatively greater importance of knee extensor power than strength found in our study matches results previously presented in the literature on healthy older adults (Skelton et al 1994; Bassey et al 1992; Bean et al 2002). Results from this study suggest that knee extensor power may be an important determinant for physical performance of everyday tasks in an older adult with knee OA. Health care providers need to be providing treatment recommendations around improving one’s lower extremity power, in addition to one’s muscular strength. With relatively few exercise intervention programs focused on utilizing power or high speed resistance training in adults with knee OA (Sayers et al 2012), pilot work suggests power training for knee OA may yield benefits beyond traditional strengthening programs, and future research is needed. Secondly, the findings surrounding BMI provide further support that nutritional programs aimed at decreasing body mass play a critical role in managing immobility caused by knee OA (McAlindon et al 2014). Findings from the early studies of power training, combined with the small amount of variance in mobility attributed to knee extensor power in the current study, suggests that more work is necessary to further explore whether benefits exist as a result of power training in knee OA in larger samples. Accettura AJ, Brenneman EC, Stratford PW, Maly MR (2015). Knee extensor power relates to mobility performance in people with knee osteoarthritis: Cross-sectional analysis. Phys Ther 95: 989-95. Bassey EJ, Fiatarone MA, O’neill EF, Kelly M, Evans WJ, Lipsitz LA (1992). Leg extensor power and functional performance in very old men and women. Clin Sci 82: 321-327. Bean JF, Kiely DK, Herman S, et al ( 2002). The relationship between leg power and physical performance in mobility‐limited older people. J Am Geriatr Soc 50: 461-467. Lopez AD, Murray C (1998). The global burden of disease. Nat Med 4: 1241-3. McAlindon TE, Bannuru RR, Sullivan MC, et al (2014). OARSI guidelines for the non-surgical management of knee osteoarthritis. 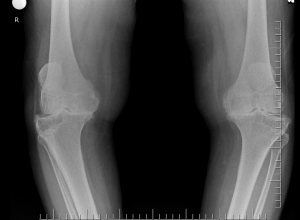 Osteoarthritis Cartilage 22: 363-388. Sayers SP, Gibson K, Cook CR (2012). Effect of high-speed power training on muscle performance, function, and pain in older adults with knee osteoarthritis: A pilot investigation. Arthritis Care Res 64: 46-53. Segal NA, Torner JC, Felson D, et al (2009). 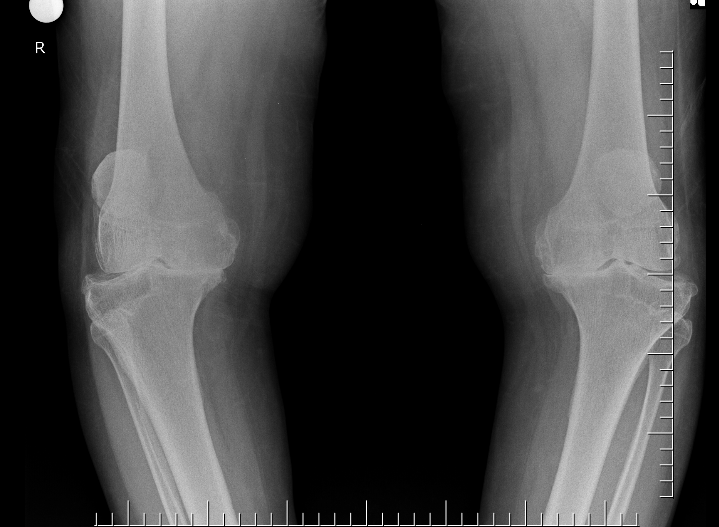 Effect of thigh strength on incident radiographic and symptomatic knee osteoarthritis in a longitudinal cohort. Arthritis Rheum 61: 1210-1217. Slemenda C, Brandt KD, Heilman DK, et al (1997). Quadriceps weakness and osteoarthritis of the knee. Ann Intern Med 127: 97–104. Skelton DA, Grieg CA, Davies JM, Young A (1994). 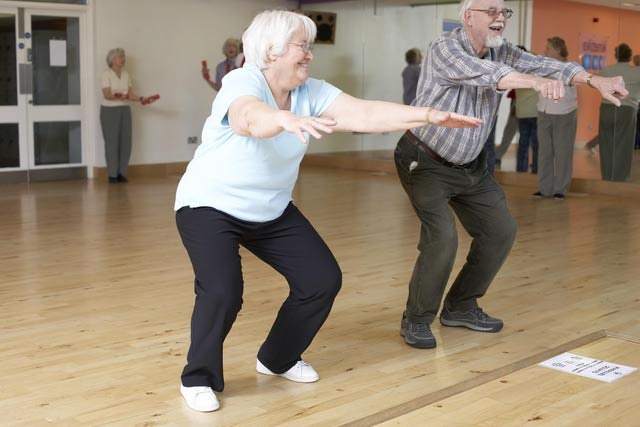 Strength, power and related functional ability of healthy people aged 65–89 years. Age Ageing 23: 371–377. ← Does deep brain stimulation improve balance in people with Parkinson’s disease?